I love these little florets! 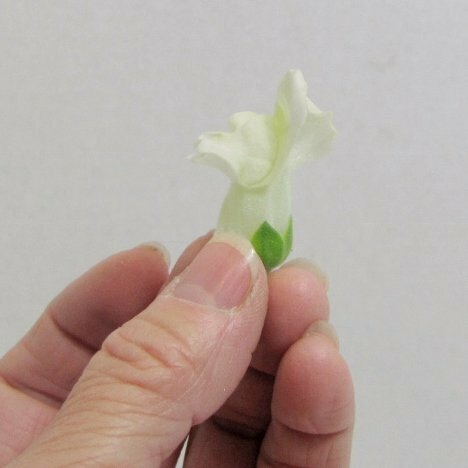 They come off the stalk of one single snapdragon stem and it is plenty to do one corsage. 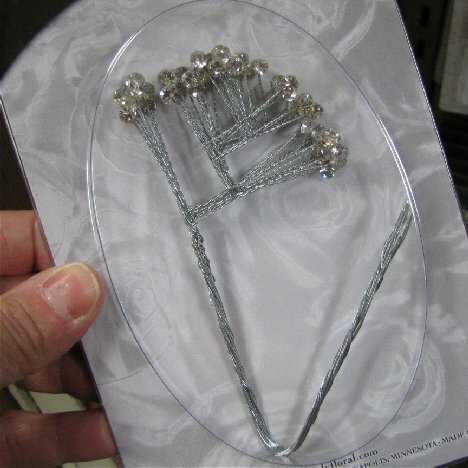 Dab the end with glue and tuck in between the other flower heads. 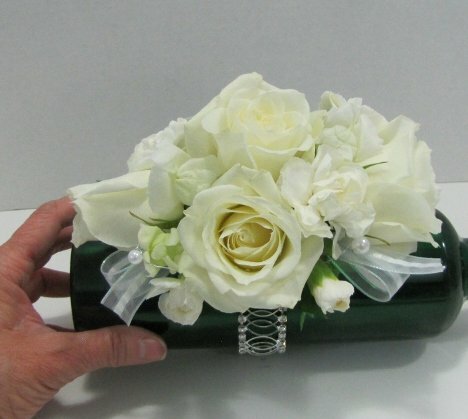 I love using different textures when creating a monochromatic (all one color) corsage design. 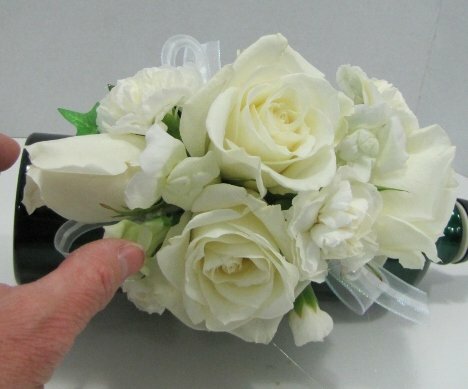 It is what will make your corsage interesting. 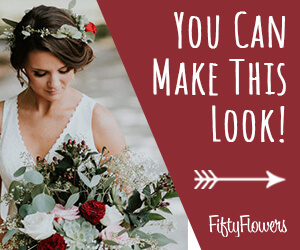 The roses are opening beautifully and the other flowers are adding just the right amount of complimentary presence without overpowering the focal flowers. 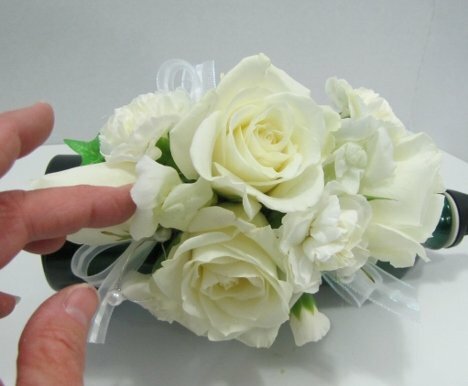 Florists often add some type of flower jewels to add color or sparkle to the flower corsage.